Below you fill find all funeral homes and cemeteries in or near Dawson. Dawson is also known as: Lac qui Parle County / Dawson city. Zip codes in the city: 56232. Lac Qui Parle County funeral flowers can be purchased from one of the local funeral shops we partner with. Some of the notable people born here have been: (phyllis gates), (jeff nordgaard), (james day hodgson), and (carrie tollefson). It was reported by Eau Claire Leader-Telegram on March 10th, 2019 that Phyllis Thelma Laron (Johnson) passed away in Menomonie, Wisconsin. Ms. Laron was 92 years old and was born in Dawson, MN. Send flowers to express your sorrow and honor Phyllis Thelma's life. It was noted by The Daily Herald on December 9th, 2018 that Betty Hartman (Kosek) perished in Hoffman Estates, Illinois. Ms. Hartman was 91 years old and was born in Dawson, MN. Send flowers to share your condolences and honor Betty's life. It was written by Eau Claire Leader-Telegram on January 30th, 2018 that Helen Ude (Michaelson) passed away in Eau Claire, Wisconsin. Ms. Ude was 94 years old and was born in Dawson, MN. Send flowers to express your sympathy and honor Helen's life. It was disclosed on July 16th, 2017 that Gailen K Greseth died in The Villages, Florida. Greseth was 87 years old and was born in Dawson, MN. Send flowers to express your sorrow and honor Gailen K's life. It was revealed by The Villages Daily Sun on July 2nd, 2017 that Gailen K Greseth perished in The Villages, Florida. Greseth was 87 years old and was born in Dawson, MN. Send flowers to share your condolences and honor Gailen K's life. It was revealed by West Central Tribune on October 27th, 2015 that Loretta Larson perished in Dawson, Minnesota. Larson was 86 years old. Send flowers to express your sorrow and honor Loretta's life. It was noted by Renton Reporter on October 23rd, 2015 that Jean B Johnson perished in Covington, Washington. 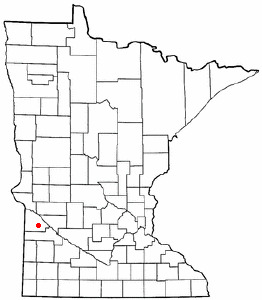 Johnson was 85 years old and was born in Dawson, MN. Send flowers to share your condolences and honor Jean B's life. It was disclosed by West Central Tribune on October 21st, 2015 that Allen Moe passed on in Dawson, Minnesota. Moe was 88 years old. Send flowers to share your condolences and honor Allen's life. It was noted by West Central Tribune on October 14th, 2015 that Dale Horst died in Dawson, Minnesota. Horst was 65 years old. Send flowers to express your sympathy and honor Dale's life. It was noted by West Central Tribune on September 9th, 2015 that Agnes Storlien passed away in Dawson, Minnesota. Storlien was 73 years old. Send flowers to express your sorrow and honor Agnes's life. Dawson is a city in Lac qui Parle County, Minnesota qui Parle County, Minnesota, United States. The population was 1,539 at the 2000 census. . . . The official website for the city of Dawson is http://www.dawsonmn.com/. Hanson & Dahl Funeral Home provides complete funeral services to the local community. Dawson Funeral planning made easy! Learn how to pre-plan your funeral in Dawson, Minnesota, including step-by-step directions. Find a Funeral Home inDawson, Minnesota MN to provide the caring burial and ceremonial services your family deserves. Listing all funeral homes in Dawson, Georgia so you can easily send flowers to any location (same day delivery) or find any funeral service. We work with local florists and flower shops to offer same day delivery. You will find budget sympathy flowers in Dawson here. Our funeral flowers are cheap in price but not in value.